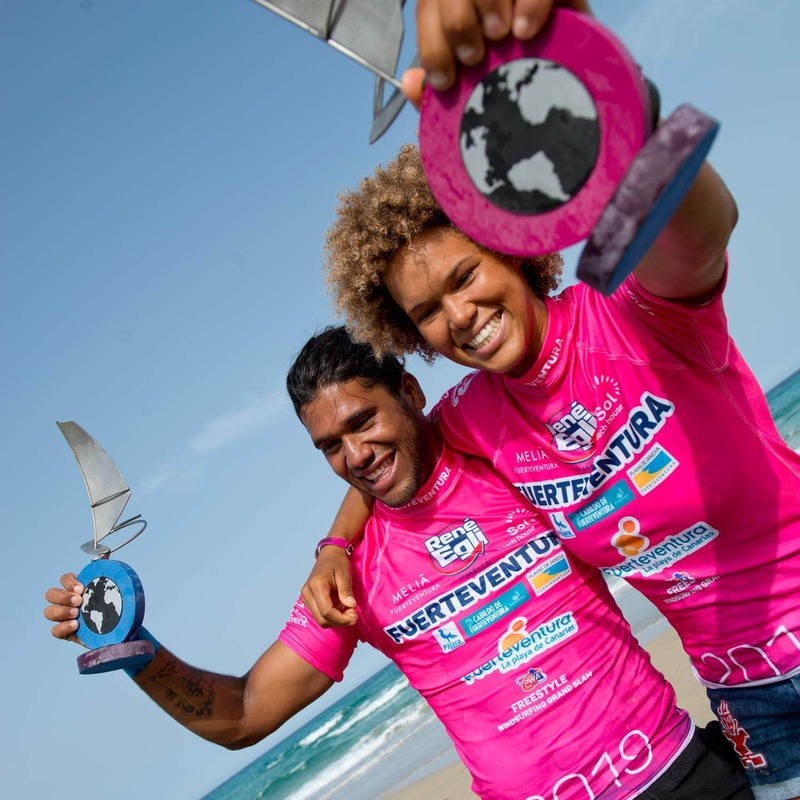 Sarah-Quita Offringa & Gollito Estredo win the 2018 PWA Fuerteventura World Cup. 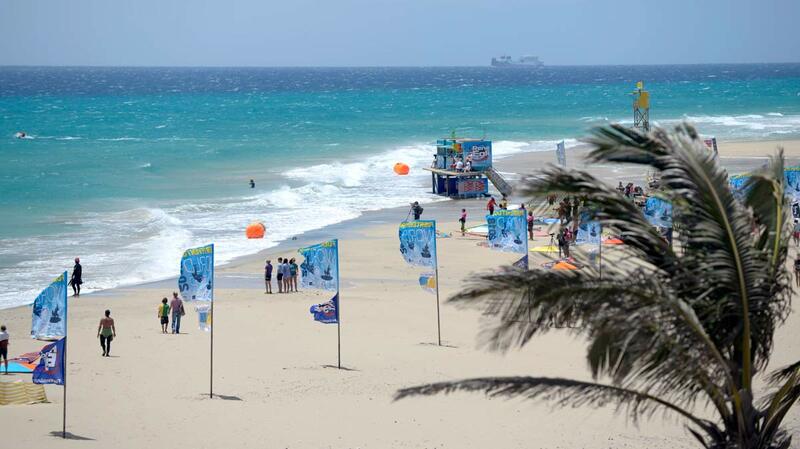 The final day of the Freestyle competition at the 2018 Fuerteventura PWA Grand Slam didn’t provide the explosive finale everybody was hoping for with the wind only briefly kicking in, before dropping again, meaning there were no changes to the men’s and women’s rankings. Sarah-Quita Offringa extends her incredible unbeaten run on the Women’s PWA Freestyle World Tour to 11 years after winning both events this year to claim her 11th Freestyle world title. The 27-year-old continues to raise the bar for women’s freestyle, and in a year where it was thought she would face her biggest test yet to regain her world title, Offringa has more than risen to the occasion and is still undoubtedly the Queen of Freestyle. Maaike Huvermann finished (2nd) and Oda Johanne (3rd) have both raised their level again, but even though they threatened Offringa in Portugal, neither could really land a telling blow here to trouble the now 15 time world champion. 8-time Freestyle World Champion – Jose ‘Gollito’ Estredo proved himself to still be the man that everyone else has to beat as the Venezuelan once again showed that he has that killer instinct of a champion. Adrien Bosson walks away from the opening event of the year with his best ever result on the PWA World Tour – 2nd. Yentel Caers completes the podium here after producing a series of explosive displays. Caers has not finished outside the top 3 here since 2016 and is now unquestionably one of the main threats on the world tour. Every year the best men and female freestylers travel to Fuerteventura to battle for the podium places. In addition this year, the best youth freestylers gathered in Fuerteventura to compete for the very first time in a youth PWA freestyle event. A look back on a great freestyle show in Fuerteventura.